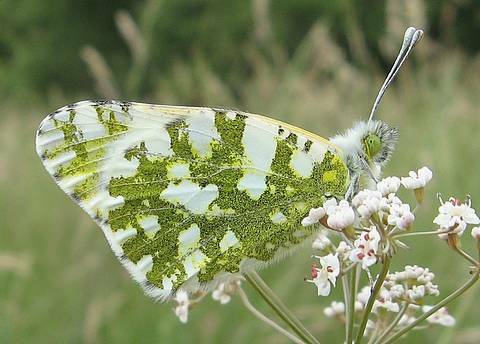 Note the paler tone to the underside, the more irregular shape and less smooth edges of the white patches and the stronger yellow mix. 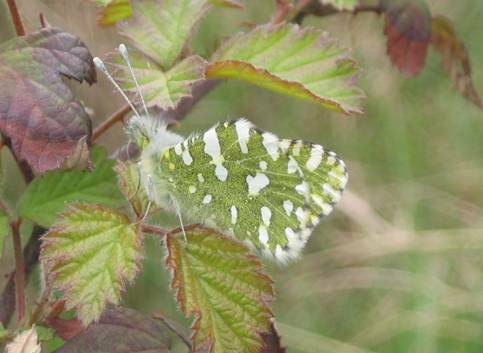 The Dappled White is an interesting white species which tends to be found in rather open situations; it may be seen wandering over agricultural crops and adjacent meadows and footpaths, across low scrub interspersed with grassland or on south facing slopes at higher levels. 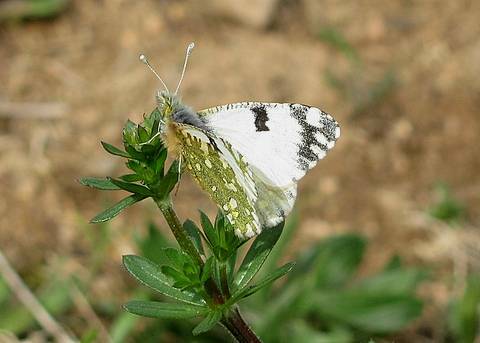 The butterfly is restless and spends much time on the wing, settling only briefly to nectar on a variety of flowers, particularly crucifers. 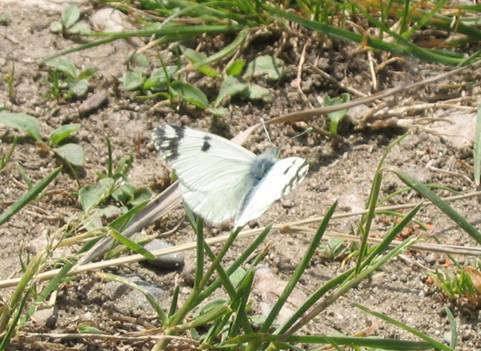 The flight is quite purposeful which sets it apart from other small, white species like the Pieris though it is not such a direct flyer as the Bath White. 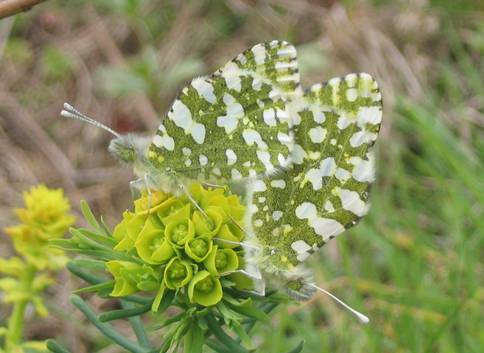 First brood insects are relatively smaller than those of the second brood and have a darker, more regular green feel to the underside with more rounded white patches. 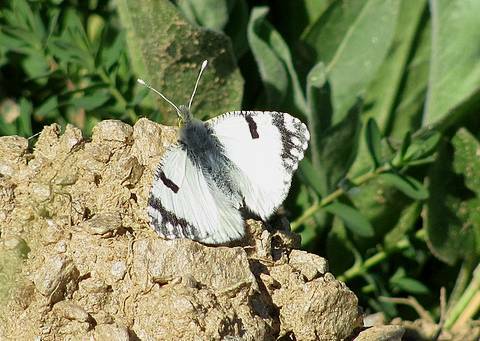 It is quite an early butterfly to emerge, with even the second brood finished by early summer at moderate altitude. 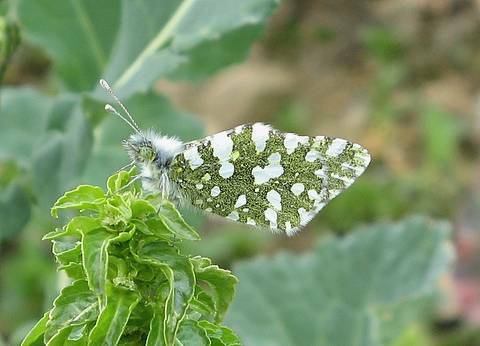 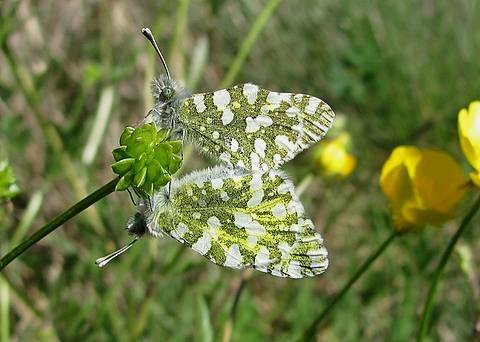 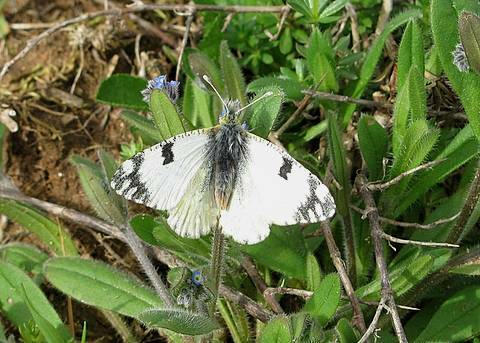 It is now generally accepted that there are two visually identical species which exist; the Western Dappled White (Euchloe crameri) in western Europe and the Eastern Dappled White (Euchloe ausonia) in eastern Europe.